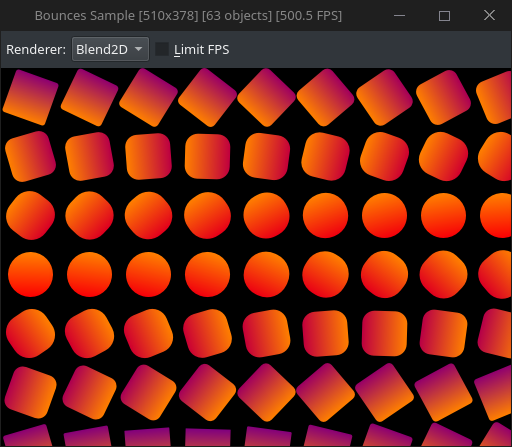 Blend2D is a relatively small project that has only one dependency (AsmJit), which is usually built together with Blend2D itself. It's recommended to visit a download page for download and build instructions although the instructions provided here are complete and show how to build a first application with a statically linked Blend2D. The instructions shown here should work for all operating systems and all IDEs and build systems that are supported by CMake. 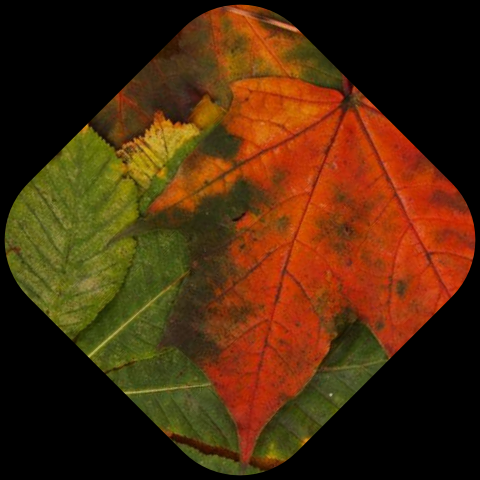 All samples provided by this page are part of blend2d-samples package that is part of Blend2D samples. This means that you don't have to go over all the preparation steps if you prefer cloning the samples from github or downloading them as a part of "all" package. # Create the workspace and move there. # Get AsmJit - Blend2D requires [next-wip] branch at the moment. 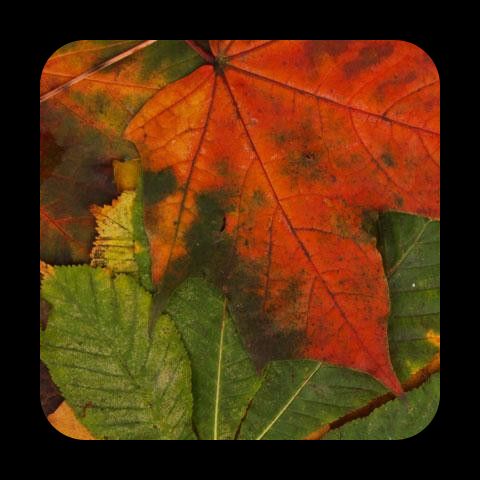 # Create 'app' directory for the application and move there. # Create a CMakeLists.txt project file. # Create the source file of the application. # only one directory called 'build'. # Some basics, set accordingly to your needs. 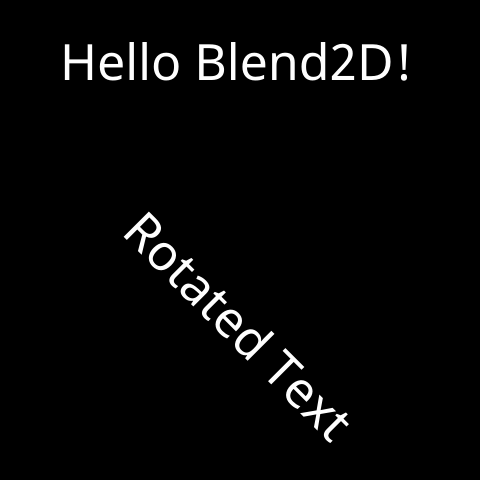 # Where the 'app' and 'blend2d' are. 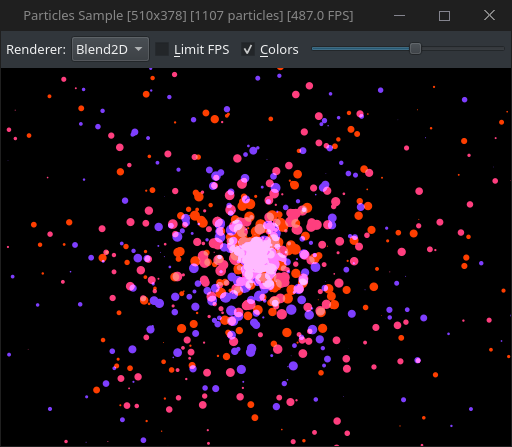 # Enable Blend2D static build. # the application will have everything that is required. # Add executable to the project and its dependencies. // Attach a rendering context into `img`. // Detach the rendering context from `img`. // Let's use some built-in codecs provided by Blend2D. If you compile and run the application it should create the image shown above. As can be seen in the example Blend2D C++ API uses a BL prefix and uses RAII for all classes that require memory management. This design simplifies the use of the API and minimizes the possibility of memory leaks. In addition, Blend2D API is exception-safe and would never throw an exception, handling errors will be described later. 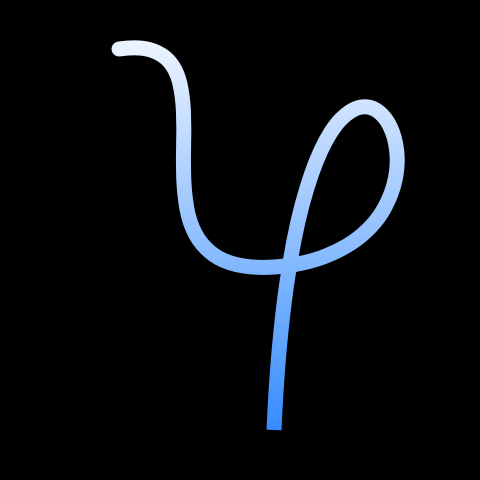 Linear gradient from [x0, y0] to [x1, y1]. 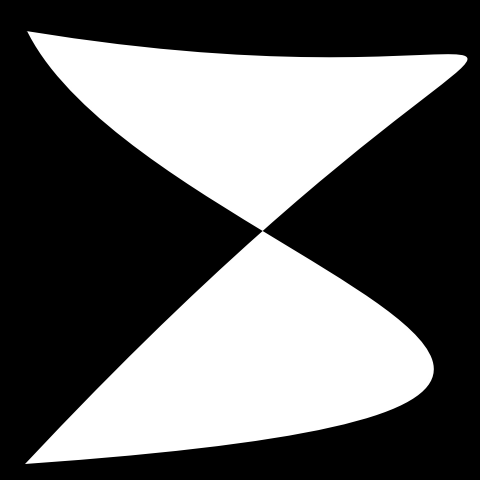 Radial gradient having the center at [cx, cy], focal point at [fx, fy], and radius r.
Conical gradient having the center at [cx, cy] and angle a. // Coordinates can be specified now or changed later. // Color stops can be added in any order. // `setFillStyle()` can be used for both colors and styles. To make this document shorter we will not demonstrade radial and conical gradients as they will be used in later examples. 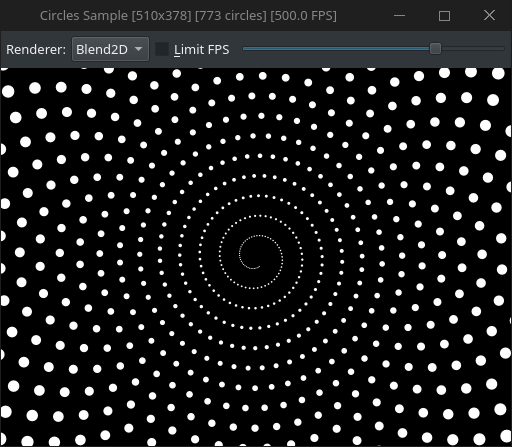 In addition, the example above used fractional coordinates when calling fillRound() to show that Blend2D API is not restricted to integers. All function accept double precision floating point coordinates with few exceptions where integral coordinates are allowed like fillRect(). 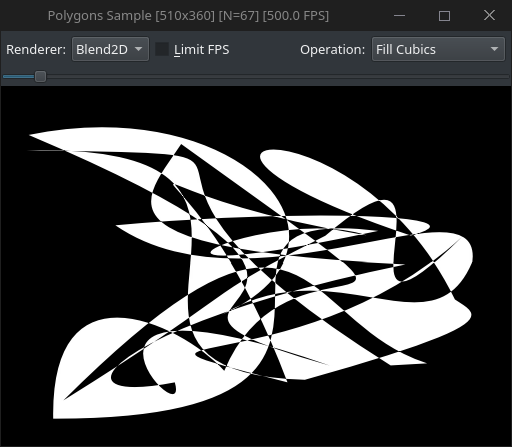 Pattern in Blend2D represents an image, transformation matrix, and other properties like extend mode and filter. A single image can be used by multiple patterns and it's also possible to use only a part of an image as a pattern. // Read an image from file. // Basic error handling is necessary as we need some IO. 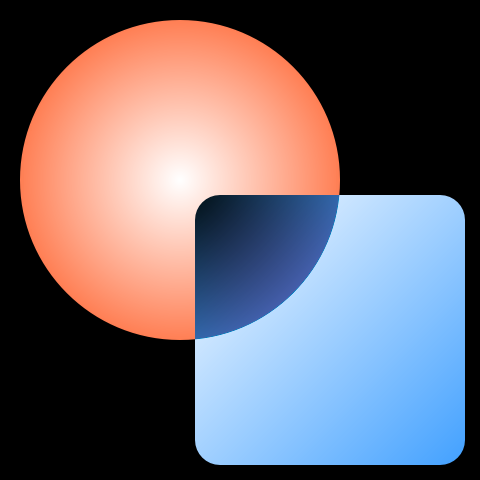 // Create a pattern and use it to fill a rounded-rect. Transformations can be applied to geometry, images, and styles. // Rotate by 45 degrees about a point at [240, 240]. The exactly same transformations that can be applied to BLContext can also be applied to paths and styles. It's also possible to use a BLMatrix2D to build a transformation matrix consisting of several consecutive transformations and apply it at once. Blend2D supports all Porter & Duff composition operators and many blending operators that are described in SVG and PDF specifications. These operators can be set via BLContext::setCompOp() function. 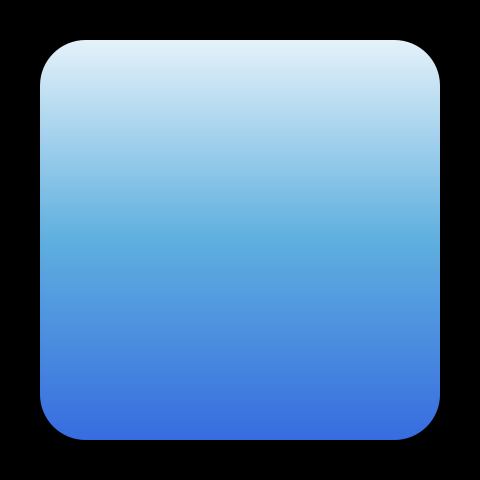 // First shape filld by a radial gradient. // Second shape filled by a linear gradient. 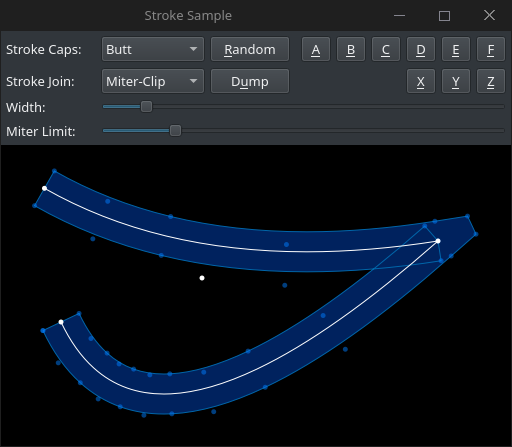 Stroking can be specified through BLStrokeOptions class or set directly through BLContext API as demonstrated in the example below. // We must handle a possible error returned by the loader. BLGlyphBuffer is a low-level interface that can be used to convert text to glyphs and to retrieve useful information about them. If you need to position text or calculate text metrics then BLGlyphBuffer is the only way of obtaining such information. 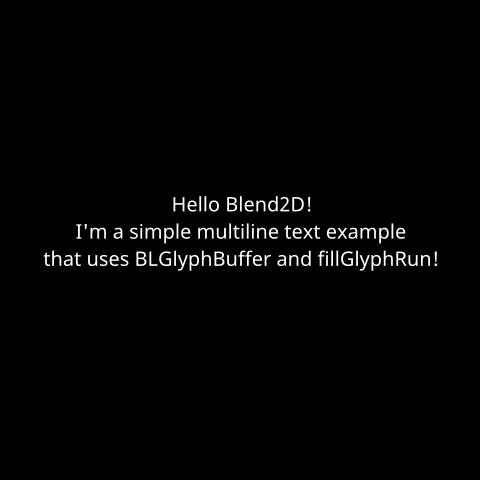 const char* text = "Hello Blend2D!\n"
"I'm a simple multiline text example\n"
In addition to samples mentioned above blend2d-samples package also provides examples that use Qt library. 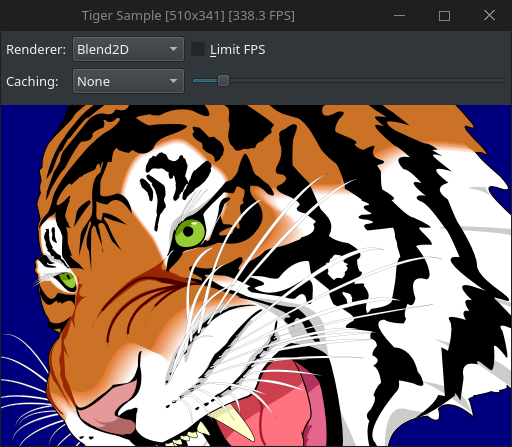 These samples provide either interactive demonstrations of some Blend2D features like stroking or animated demonstrations that can use both Blend2D and Qt rendering engine for both performance and quality comparison.